Angsana Beachfront Residences offer complete flexibility for buyers with both investment and lifestyle options. The investment option allows buyers to maximise returns by having their condominium operated full time by Angsana Laguna Phuket as part of their premium hotel inventory. Buyers will receive a share of the room revenue generated from their unit and in addition have complimentary use of their unit up to 60 days per year. The lifestyle option provides an added dimension of flexibility, allowing owners to reside in their property on part or full time basis. 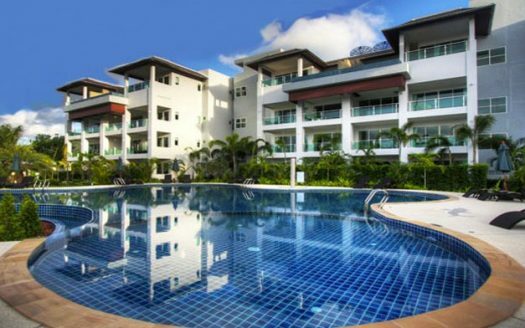 Owners will still be able to access professional property management services from Angsana Laguna Phuket and have their property exclusively rented out on a short term or long term basis. Directly fronting the beach, the Angsana Beachfront Residences comprise a stunning selection of five individual low rise beachfront condominium buildings in a unique Thai contemporary style. Situated within 1,000 acres of tropical parkland fronting the pristine Bang Tao beach and the azure waters of the Andaman Sea, the award winning Laguna Phuket is Asia’s premier holiday paradise comprising deluxe hotels and exclusive gated communities. A world of privileges and rewards await as an owner of an Angsana Beachfront Residence. Only 2 units left on December 2017. Other: Only 2 unit Left !